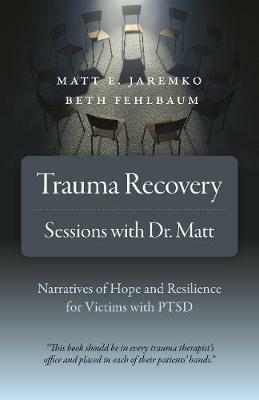 Trauma Recovery: Sessions with Dr. Matt conveys hope and resilience for trauma victims. Written by a psychologist with 35 years of clinical experience, and a survivor of childhood sexual abuse. Between compellingly-written scenes of group, individual and family therapy, the cognitive-behavioral science of PTSD and its treatment is explained. The book movingly describes the collaboration between therapist and clients as they strive to get unstuck from trauma-ravaged lives. Reluctant trauma victims who have avoided treatment or who are having trouble processing life's catastrophes will find in these pages a "fly-on-the-wall" perspective of how therapy can help. Useful information about overcoming obstacles in treatment is provided while fears about facing trauma are allayed, motivating the reluctant victim to finally seek treatment. The book will also greatly inform motivated patients by providing a thorough, scientifically-sound understanding of PTSD's nature and treatment. This book should be in every trauma therapist's office and placed in the hand of each of their PTSD patients.